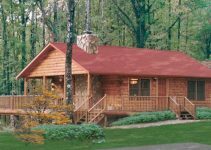 This log cabin with wrap around porch is a charming getaway home with lots of great features. 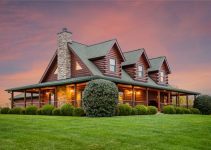 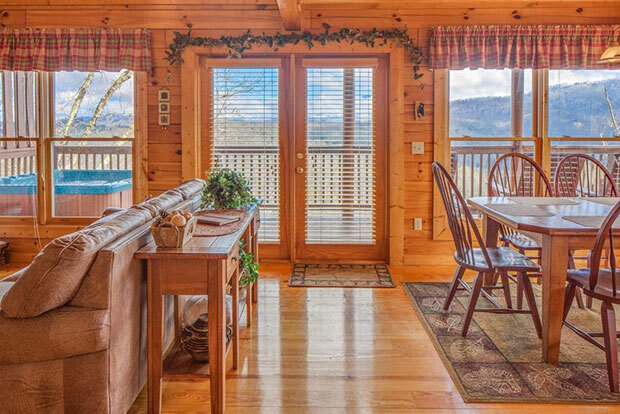 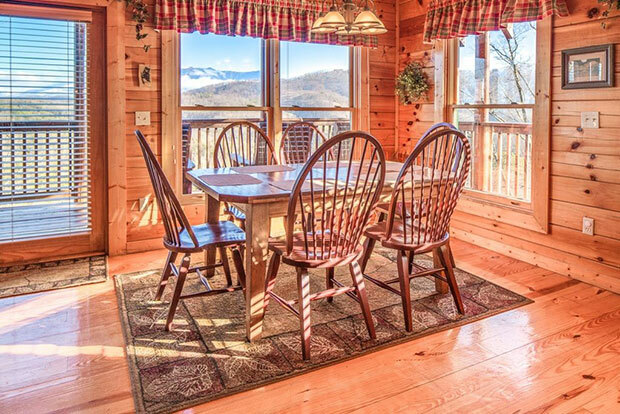 Located in Pigeon Forge, TN, this cabin is surrounded by mountain and national park views. 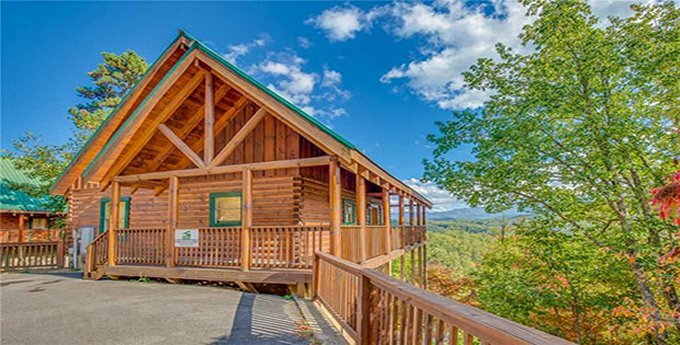 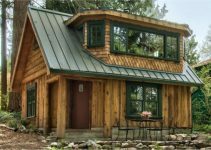 The cabin is quite luxurious and spacious with its two bedrooms and bathrooms, a backyard swimming pool and much more, making the price of $289,900 a great deal indeed.